Just a quick post to let you know today is the last day to bid on the cool Solo brand cycling jersey. Deadline for bids is 11:59 p.m. tonight (Thursday, April 26). 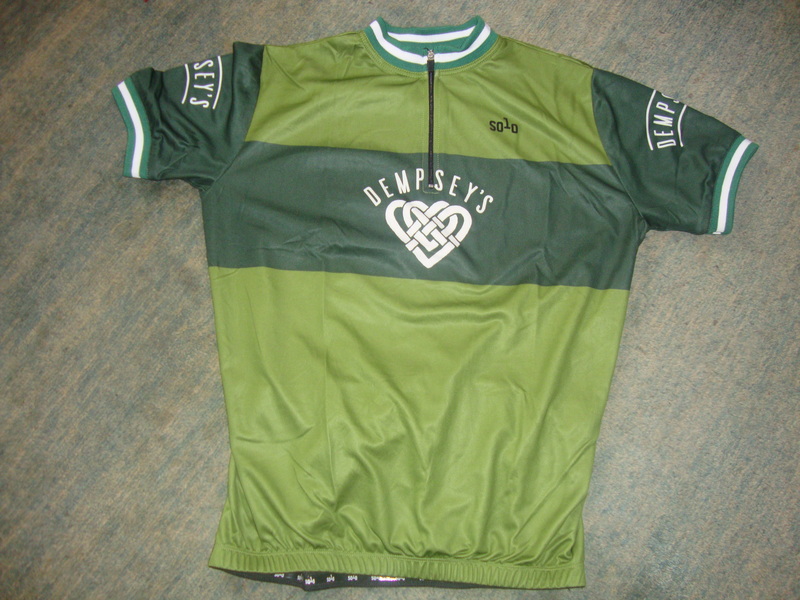 You need this jersey — especially if you happen to be Irish. See all the details on the original post — and go there to leave a bid in the comments. If you bid once and were outbid, you are certainly free to bid again. Current leading bid, as I post this, is $50. The jersey retails for $139. All proceeds from the auction go to bicycle education/safety/advocacy causes. Please make some more posts. I wad really enjoying thus blog. Where did u go?